“If you want to see heaven on Earth, come to Dubrovnik”, proclaimed the Irish playwright George Bernard Shaw – and he wasn’t wrong. A vivid collection of crimson architecture perched on a cerulean bay; few cities can claim to be more picturesque than Dubrovnik. But there’s more to the city than its aesthetic charms and a glimpse at its history is enough to show you why. The whole of the mediaeval old town is UNESCO listed, including the ruler-straight Stradun, the 300m (984ft) road that bisects it. There’s much to gawp at, including the Sponza Palace, the Rector’s Palace, St Blasius Church and the Franciscan Monastery. Not all of it is as old as it appears, however, as 95% of the city was destroyed by shelling during the Yugoslav Wars and later rebuilt, giving the place an oddly museum-like quality. In recent years, Dubrovnik has reinvented itself as a major holiday destination in Europe. Many high-end restaurants have sprung up to serve happy tourists toothsome local seafood and Croatia’s many excellent wines. The city’s night scene is vibrant too, with energetic clubs and open-air bars thronged with well-heeled guests. 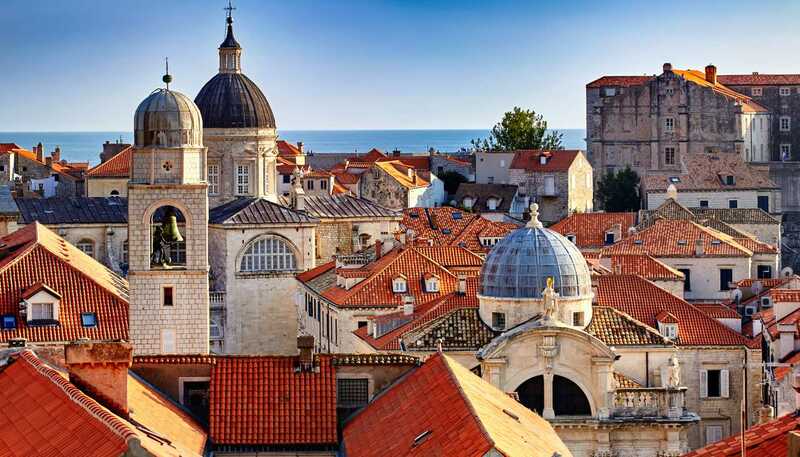 If that isn’t enough, the cast of Game of Thrones came here to film the King’s Landing scenes – making Dubrovnik the essential stop for many fans. 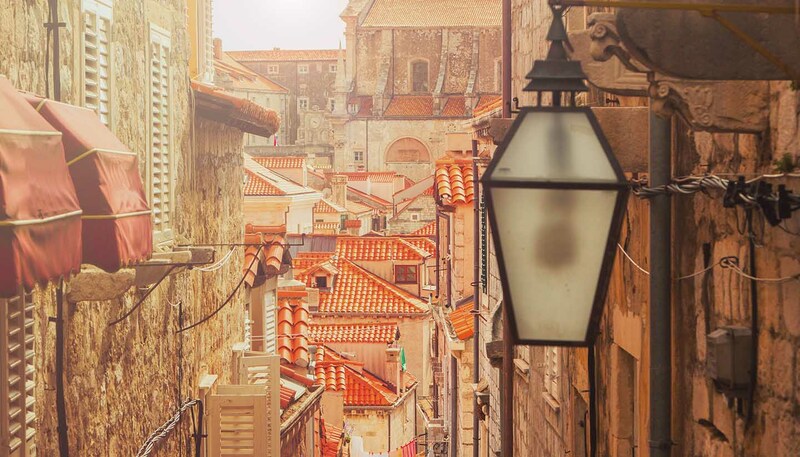 But the real beauty of Dubrovnik is to be found in the quiet, shaded streets where pretty potted plants adorn beautiful balconies, the odd washing line is strung between shuttered windows and incongruous doorways lead to hole-in-the-wall bars. For the best view, take a stroll atop the medieval walls. From here, the glittering Adriatic Sea beckons, speckled with islands and cruise ships, wooden galleons, speed boats, sightseeing vessels and kayakers. On sea or on land, Dubrovnik shines as one of Europe’s prettiest places.